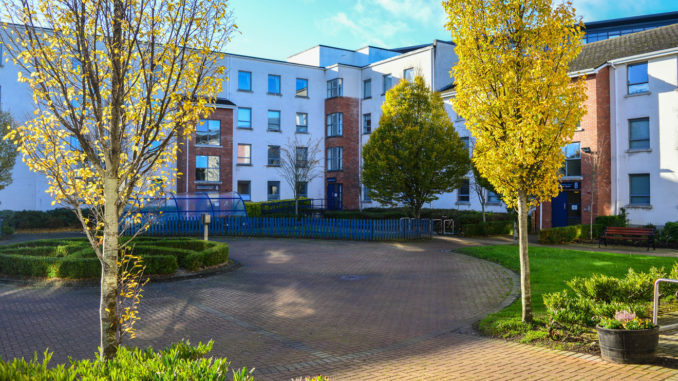 AN Garda Síochána raided house six in the DCU Hampstead student accommodation complex in search of drugs on the 15th of November. One witness recalled seeing a male student being escorted out of a Hampstead house and into the back of a car by Gardaí between 3 and 4pm. The student in question was seen with their hands out in front of them but they were draped in a black covering. “As part of ongoing investigation into sale of drugs in Santry area Gardaí searched under warrant an address at apartment complex in Santry. A quantity of drugs were seized and man in his 20s was arrested and taken to Ballymun Garda Station he has since been released and a file will be prepared for the DPP,” according to a Garda spokesperson. The Gardai discovered almost €4,000 worth of narcotics, thought to be ketamine, cocaine, and MDMA, according to LovinDublin. €700 was also found in his apartment, according to an anonymous source who knows the student. Another witness said the student received a phone call moments before the Gardaí arrived, after which they returned to their apartment. “Dublin City University has a clear no drugs policy. Any contravention to this policy, by a student or staff member, will be brought to the attention of the Gardaí in the first instance and will result in the initiation of the University’s disciplinary procedures,” said the Communications Officer in DCU. “The value of the seizure is a reflection of the current demand and market for illicit substances amongst students. Ideally, we would see the abolition of the black market entirely, by means of introducing a regulatory model,” said Eleanor Hulm, Chairperson of DCU’s Students for Sensible Drug Policy (SSDP). Although contacted, DCU security is yet to comment on the arrest.